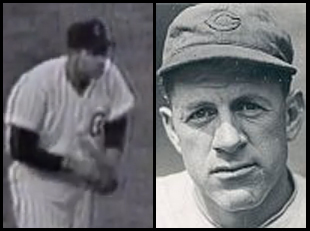 Don Cardwell (left) thrilled WGN-TV viewers as he bore down on his no-hitter in the ninth. Analyst Charlie Grimm (right) was pretty much a spectator while Jack Quinlan handled the riveting play-by-play on WGN-Radio, but was very expressive amid the post-game hoopla. The vintage segment presented here originally aired on WGN on Sunday afternoon, May 15, 1960. Almost the entire top of the ninth of newly-acquired Cubs pitcher Don Cardwell’s no-hitter is replayed with the incomparable Jack Quinlan’s riveting play-by-play. Interestingly, Charlie Grimm, ol’ “Jolly Cholly” himself, said practically nothing during the final three outs to add perspective. Just a week earlier, Grimm was involved in another strange P.K. Wrigley move. After starting the season with his third tenure as Cubs manager, Grimm traded jobs in the broadcast booth with analyst Lou Boudreau, former manager of the Indians, Red Sox and Athletics. 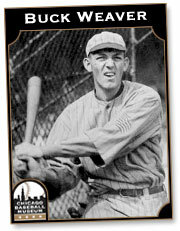 After Cardwell completed his no-no and did a hectic on-field TV-radio interview with Vince Lloyd, Quinlan turned over the mic to Grimm to describe the wild scene in which thousands of happy fans stormed Wrigley Field. Grimm was impressed, considering he had seen many dramatic events as a Cub. The clip apparently is the only surviving record of Grimm’s radio work that had dated back to the 1930s, right after his successful first stint as manager.